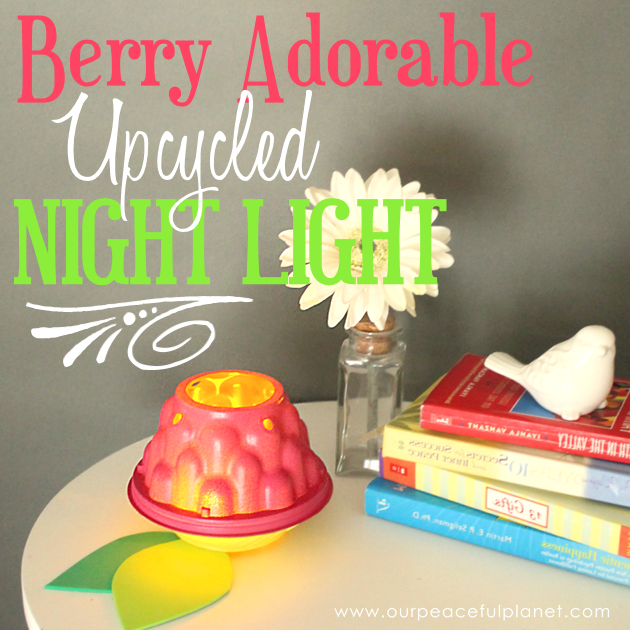 Check out this “Berry” Amazing and Easy DIY Room Decor Light made from a small plastic cherub tomato container. Who doesn’t want to reduce and reuse? 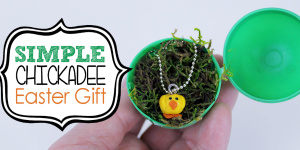 This brilliant upcycle project is not only simple, it’s absolutely adorable! 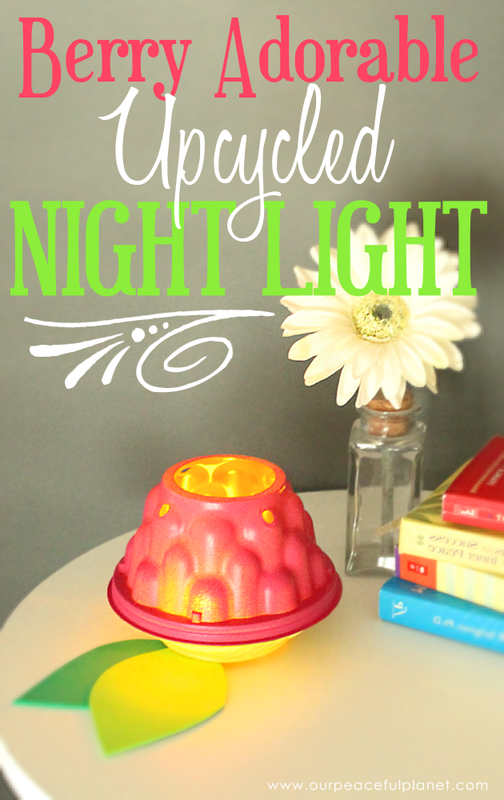 It adds a whimsical pop of color during the day and makes a beautiful, soft night light in the evening. 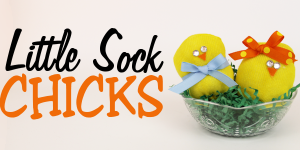 A great project for kids of all ages! 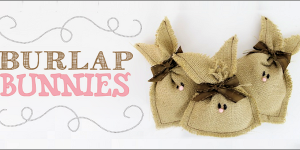 Looking for more useful upcycle ideas? 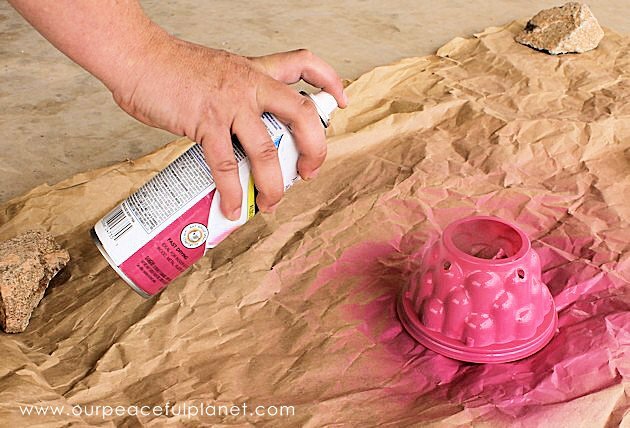 Check out our Lovely Little DIY Sugar Bowl or our Upcycled Ceiling Fan Decor! 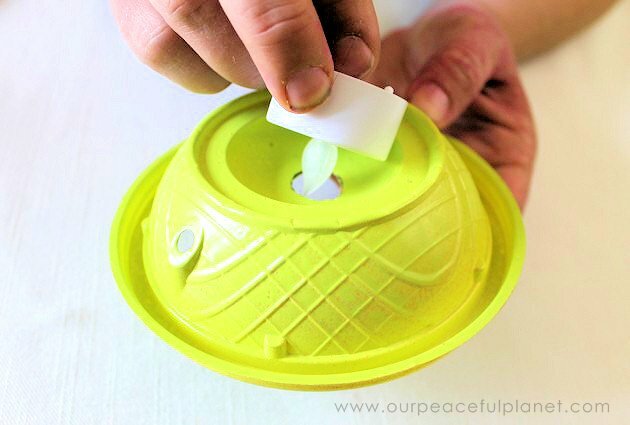 Separate the top and bottom of the plastic container. 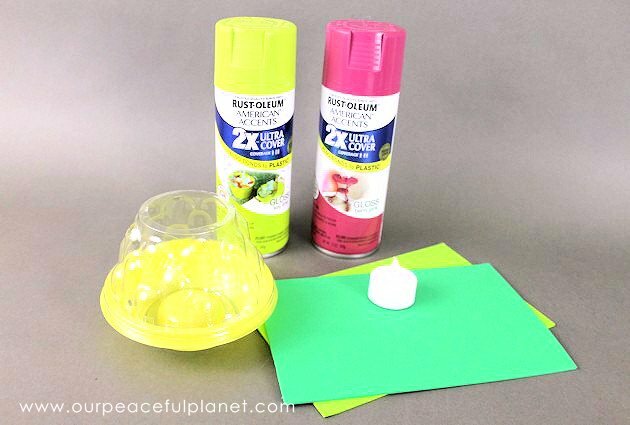 Spray paint the top pink and the bottom lime green. 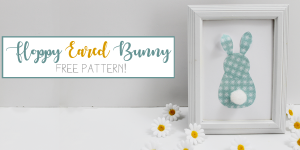 Print the FREE DOWNLOAD. 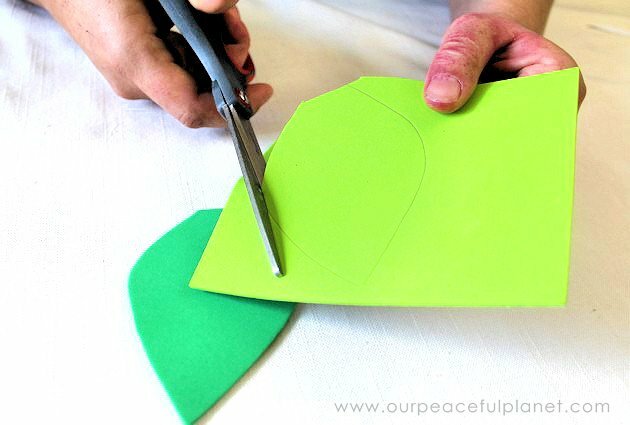 Cut out the leaf of choice and trace it onto a sheet of light and dark green craft foam. 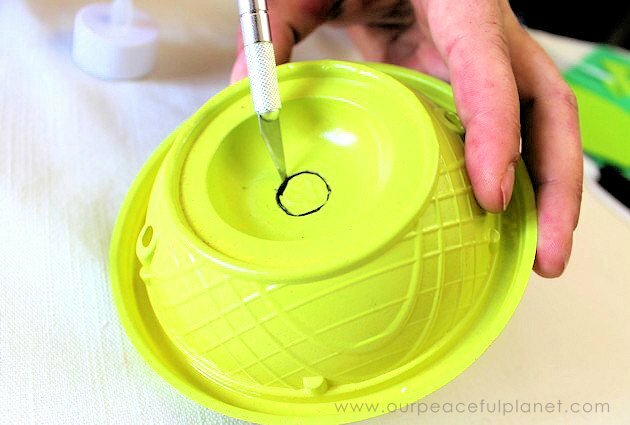 Once dry, flip over the bottom half of the plastic container and draw a 1/2 inch circle. 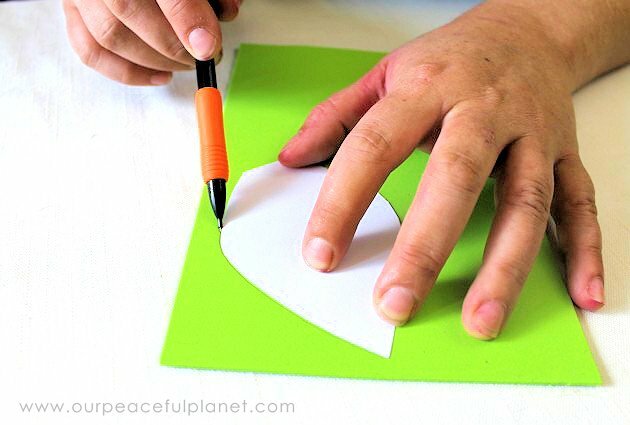 Using an X-acto knife, cut out the circle. The tip of the tea light should fit easily into the hole. 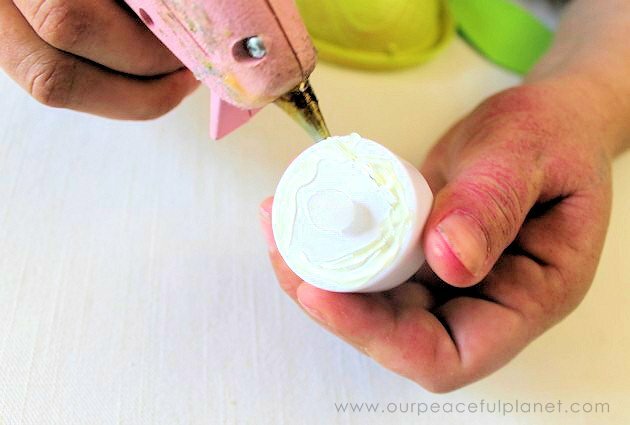 Place a circle of hot glue around the flame tip of the tea light. 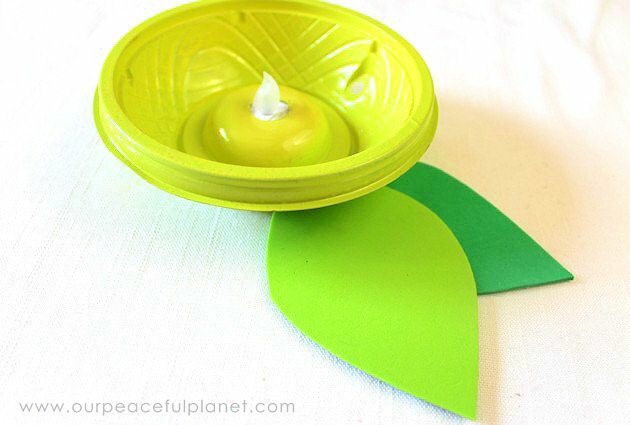 Put the flame tip of the tea light through the hole and hold into place until dry. 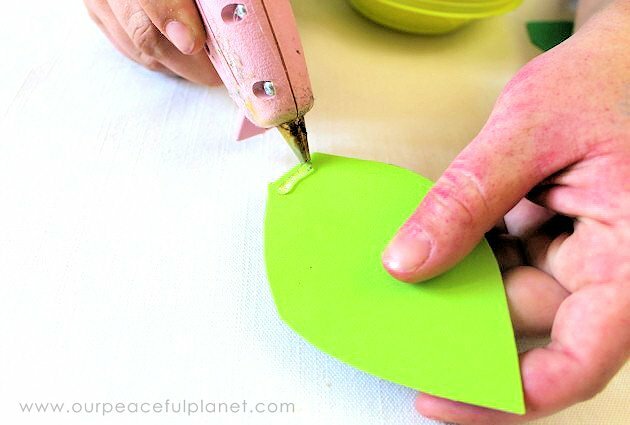 Place a dab of hot glue on the flat base of each leaf. 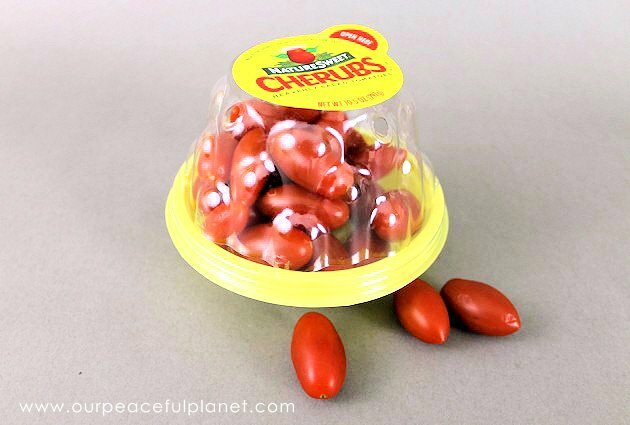 Apply to the bottom of the plastic container. Repeat with the second leaf. 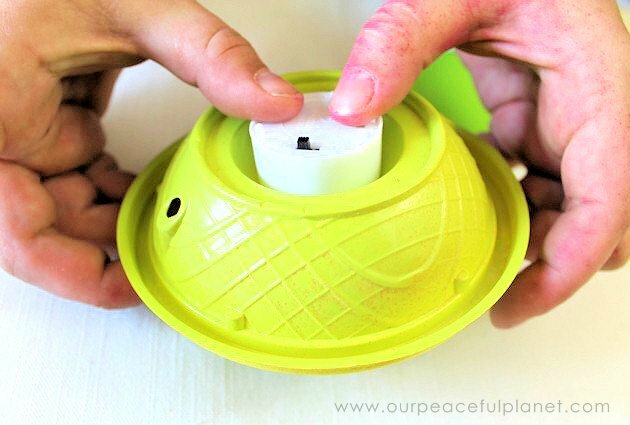 Pop the pink top of the container back onto the green bottom and turn upside down to switch on light. 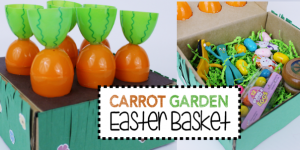 Ok, this is THE most adorable thing to make with those tomato containers! I will now safe mine! Thanks for sharing at our craft party on Thursday! 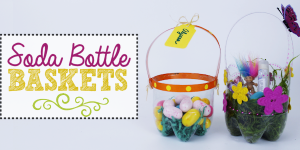 We would love to have you share your latest DIY’S tonight!! That is just the cleverest light I have seen in ages. Great idea. Love this idea….here’s an option for a different look…instead of spray painting the top portion, paint it with transparent stained glass paints or alcohol inks…..will give a cool stained glass effect…….for Halloween you might paint the top and bottom orange place the leaves on top and make a lighted pumpkin….so many great ideas…..great job!! How do you change the battery for the tea light if it’s glued shut?